A day after Etihad walked out of the prolonged bank-led resolution plan for Jet Airways, lenders got into action to chalk out a plan B. Senior bank executives worked the phones and logged on to video-conferencing in a move to rescue Jet, which has a debt pile of about Rs 8,000 crore and is left with just half of its original fleet due to non-payment of dues to lessors. 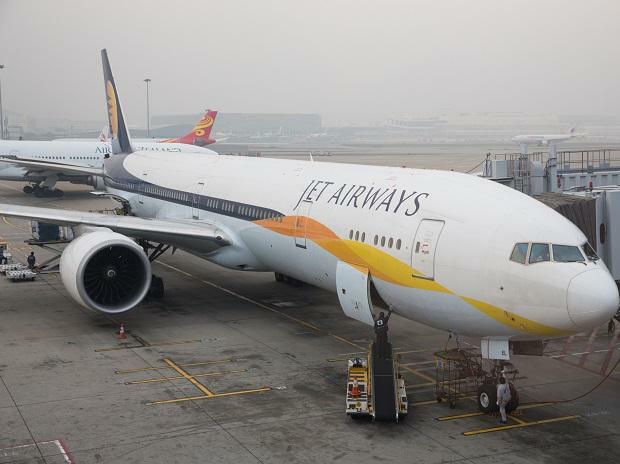 Switching to a damage-control mode, bankers and government officials claimed that Jet Airways wouldn’t fall even if Etihad refuses to back the resolution plan and exits. Instead, lenders would infuse additional funds to keep Jet flying, they said. An option that was discussed was that Etihad and Jet Chairman Naresh Goyal, who owns 51 per cent in the airline, could pledge their shares and, in return, lenders would put in more funds. The move comes after Etihad told SBI, which leads the consortium of lenders proposing a resolution plan for Jet, that it would like to exit the airline and sell its 24 per cent stake in Jet and 50.1 per cent in Jet Privilege to them. Etihad is also learnt to have asked the SBI to take over the guarantee on the $140-million ECB loan, which Jet had taken from HSBC. Etihad had stood guarantee for the loan, which is coming up for repayment on March 27. Etihad CEO Tony Douglas is also believed to have indicated that the company was willing to sell its stake in Jet to the banks at a discounted price of Rs 150 a share or at Rs 400 crore. It has also valued its equity holding in JPPL at around $600 million. An e mail query to Etihad did not elicit any response. Despite the brave front put up by bankers and government officials trying to prevent an airline collapse so close to the Lok Sabha elections, the lenders’ meeting called at a short notice on Tuesday evening remained inconclusive. The discussion was all about who will pitch in with what in the suddenly changed scenario. With no consensus yet on how the additional burden would be shared by the lenders, another round of talks has been planned with the top management of banks. ‘’It’s a wait and watch situation and the picture would become clear in two days,’’ a source tracking the developments said. A top government representative pointed out that while lenders would ideally want Jet and Etihad to put in more money, the largest state-owned lenders like SBI and Punjab National Bank could also infuse more. “The lenders have the option of pumping in money on behalf of the stakeholders if the latter pledge their shares,” he said. He added that the government was in favour of an Indian entity holding majority stake in Jet Airways. “Ideally, nobody would like Jet Airways to go into insolvency proceedings,”he said. Banks, another source said, had held a meeting late evening on Monday too, to discuss ways to salvage the resolution plan. The lenders had earlier agreed that they would provide Rs 750 crore as interim financing and Rs 1,000 crore for fresh equity to revive Jet. As per the resolution plan, Goyal’s stake was to go down to 17.1 per cent from 51 per cent now. At present, only 1.5 per cent of Goyal’s shares are pledged and Jet has an agreement with PNB under which it has to take a no-objection certificate to sell its shares. On its part, Etihad has been unwilling to pledge its shares from the very beginning. That’s the reason why Etihad’s draft memorandum of understanding with Goyal had put in a clause that the Abu Dhabi airline would not give any corporate guarantee or pledge its shares in Jet or JPPL. Also, it was again Jet which would pledge its remaining shares in JPPL to secure the $140 million loan from HSBC.